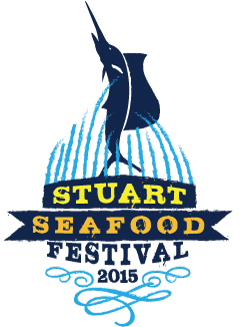 The 2015 Stuart Seafood Festival is almost here! 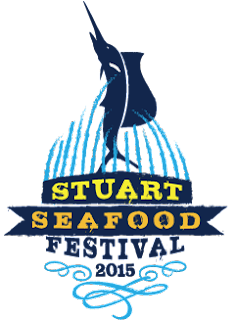 This weekend November 21 and 22, 2015 in Memorial Park in downtown Stuart is the annual Stuart Seafood Fest. Besides just indulging in the local seafood delicacies and festival foods the live music is also a hit. The live music line up starts at 11 a.m. on Saturday with acoustic guitarist Greg Hansen, 2 p.m.-4 p.m. Janelle Eve & Random Play a pop and rock band, 5 p.m.-7 p.m. Tom Jackson country band, 8 p.m.-10 p.m. Moska project a reggae band. The String Assassins open the stage on Sunday at 11.a.m with acoustic rock, 2 p.m.-4 p.m. is the Casey Raines Band playing country rock music, and closes out the fest with reggae from Fresh Catch from 5 p.m.-7 p.m. The local eateries showcasing their best meals are all available for purchase. The nautical vendors will have tents set up selling treasures with ocean inspired themes. The kids will have a blast making arts and crafts, going on rides, and playing fun games to win prizes. There is a corn hole tournament this year which you can win $1000.00. The tickets for entrance to the Seafood Festival are $5.00 in advance. If you pay at the gate the tickets are $7.00. The Seafood Festival is at 300 South East Ocean Boulevard in Stuart’s Memorial Park.